GET MORE. REACH MORE. ENJOY MORE EXPOSURE. 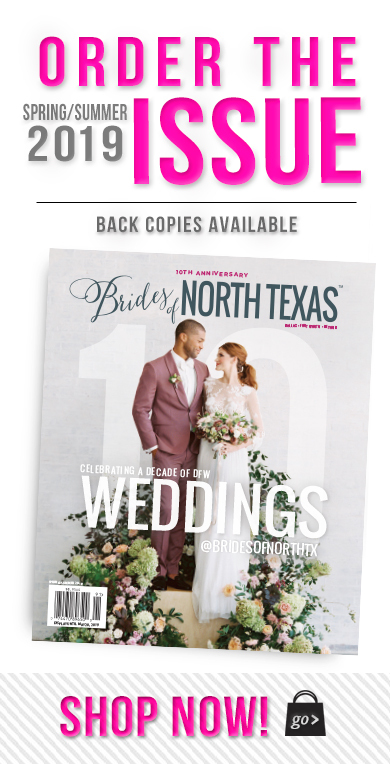 Brides of North Texas is a powerful multimedia marketing platform designed to reach the local bride and influence her planning and purchasing behavior. We partner with the premier wedding vendors in the marketplace to promote their brands in more ways, through more channels, to more fans and followers to maximize their reach and exposure. What is your goal for advertising? Which advertising opportunities interest you most?